The Mercedes Benz CLS and the Mercedes Benz E-Class are among the top ten most stolen cars in Great Britain. Many of us wouldn’t have guessed that such a sophisticated model of car would rank in the top ten, mainly due to the number of high-tech security features that it boasts. Does Keyless Technology Put Thieves in the Driving Seat? In the past, car theft mostly occurred because of the owner’s lack of attention and poor choices. For example, leaving car keys available for the taking, or simply forgetting to lock the car door. The number of car theft victims would also expectantly increase during the winter months, as owners would typically leave their car engines running unattended on their driveway as a method of de-icing. ‘But I was only gone for a minute,’ would be a frequent excuse. Thieves were not clever, just opportunists. Over the last few years’ car theft has decreased massively, in fact it is now at its lowest rate for over 50 years. This is mostly due to the security features that are present in the newer models of cars. For example, the E-Guard Mercedes model features anti-theft technology and is even resistant to violent attempts at breaking and entry. We have to give modern car thieves a bit of credit; they are clever and they have even outsmarted Mercedes manufacturers. They are no longer opportunists, they are tech savvy. 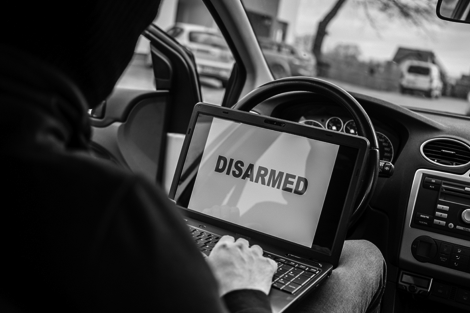 Whilst overall car theft has decreased, keyless car theft continues to rise. Sophisticated thieves are able to target car models that use keyless entry systems, making models such as the Mercedes SLK a prime target. So how can you protect your vehicle? MyPhantom App which allows you to track your vehicle on the go. OBD protection. One of the methods used by thieves to enter a keyless car is attacking the OBD port, which then enables them to programme a new key. Phantom’s OBD protection prevents this from happening by closely monitoring the OBD port. If the port is hacked or tampered with it cuts the ignition, rendering the vehicle immobilised. Of course if this happens you are immediately notified, putting you back in the driver’s seat. For more information, call us today on 0161 219 4299 to find out more about iTrackOBD and iTrack2OBDPlus.